Translating one language to another can be and is very useful when you’re looking for ways to talk to a foreigner. Normally, when you visit a foreign nationality, English is the most preferred language for communication. But, there are other countries, where the native language is all what they speak and use. So, in such cases, if you do not know their language, your vacation will definitely not be as good as it should be, specially if you’re alone. This is where the free online translator tools come in handy. There are many ways to translate text on the internet from one language to another. Nowadays, you can even ask or tell your phone to translate words or phrases. Nevertheless, today we will be talking about only those tools that are available online and can be accessed from almost anywhere, even if you don’t have a phone. Using an online translator is much better than actually trying to learn the language. For example, if you want to learn German, it’d take you a really long time. Thus, using a translator is much better, faster and easier for everyone. So, here are the 5 of the best online translator tools that you can find online and can be used as free Online translation of a word or phrase with ease. Instant translation in the best way possible! The No. 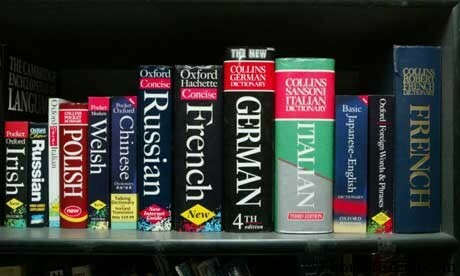 1 online translator that is powered by awesomeness (read Google), is very accurate and can translate about 64 languages. With Google translate, the job of translating one language to another becomes very easy. It has a very simple UI and almost instantly detects the input language without you needing to select it. It also has voice translation for a select few languages, wherein you can use a mic to speak and it’ll translate the text and read it out loud. I tried and tested it with couple of language translation like English to hindi, English to french, Russian to English and it translate within seconds. Some time, you might find a funny translation, which happens because of using typo words or using slang in the language. Google Translate is also available for Websites which will let you add translate button on your blog, and users from foreign countries can instantly convert web page into their language. If you are using Chrome and open a Chinese, Russian or any other language, it will show you an option to translate text to default language. 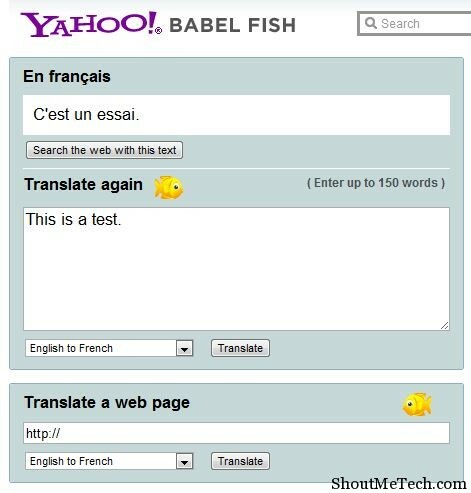 Yahoo calls it’s online translation tool as Babel Fish, which is a fictional character from the city of Babel where apparently many present languages were born. Unlike Google Translate, this tool doesn’t have a detection method. You will have to type the text to be translated and select the input and output languages. 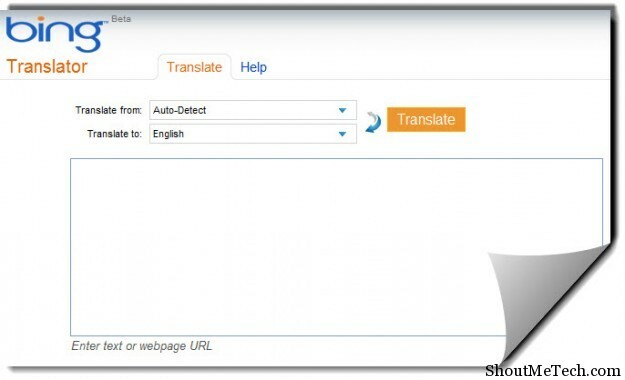 Using this tool, you can also translate a complete page on the internet to any of the supported languages. The list of supported languages aren’t as much as Google’s. Babylon is another great online translation tool that has something extra known as human translation. With human translation, you can actually ask people to translate for you, but it costs. However, the translated version provided by the real people will be much better grammatically and otherwise. If you’re looking for professional translation for your work, then I’d certainly recommend this. They also have regular free online translation, which works perfectly too and is best for quick on the go word or phrase translation. You can also download a software on to your desktop. I’m sure you must have heard of Dictionary.com, they have a lot of things going on. This free online translation service is a part of their products catalogue and it does the job pretty well. You can translate up to 50 different languages with this tool. It’s simple and very easy to use, just plain translation and no beating around the bush. Try Translator. Another simple to use translator, that also does complete web-page translation and offers professional grade translation service. FreeTranslation doesn’t support that many languages, so if you’re looking for a translator that does lots of languages then this isn’t the one. You can try it out, however, and tell us how the process went. You can also use two translations engines, one powered by SDL and the other by Google. Voice read outs are also available. We have already added Yahoo and Google translator and how can we forget official translator from Microsoft known as Microsoft translator.com. Needless to say, this service offers many feature like Google translate, for example language translate widget for Webmasters, which you can grab it here. You can also add a we page URL directly, if it’s in different language.Even Facebook language translation is powered by Bing translator and like all above, online translation services, this is free and easy to use. Check out Bing language translator at Microsoft-translator. Thus, if you were looking for an online translator, you’ve come to right place. There’s no mumbo-jumbo over here and no infinite number of websites, just 5 simple and working web apps to translate whatever it is that you want to. Most of the tools mentioned above have a dedicated mobile app so that you can carry your translator with you wherever you’re travelling. Try them all out and tell us the one that you liked the most!